For a couple of weeks now in the office there has been an almost constant supply of mince pies on the sharing food pile, so far I have managed to avoid these with my no mince pies till December rule. However this year I have an added incentive, tucked away in my fridge is a jar of homemade mincemeat. I have promised myself that the first bite of a mince pie I have this year will not be the sad excuse that the supermarket’s sell. No, I will have a mince pie made entirely by my own hand. Of course I couldn’t follow a standard recipe, I needed to make them something extra special. Reading different recipes I kept coming across the term “suet” and having never heard of this ingredient I looked it up. If you don’t know what it “suet” is and enjoy your mince pies, it’s probably best to just not know. Anyway this is a suet-free mincemeat recipe. If you do like your suet then chuck it in, I am sure it’ll be just fine to add it into the following (around 150 grams should be enough for this quantity of mincemeat). 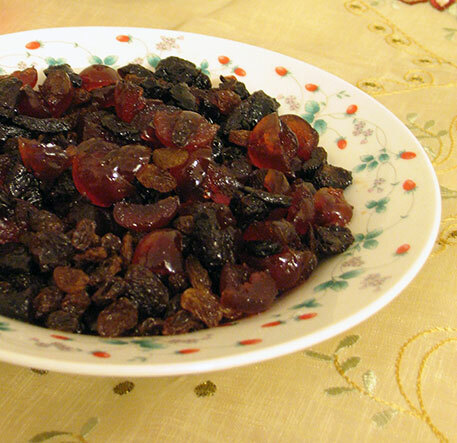 Soak the sultanas, dried and glacé cherries, in the JD and lemon juice for an hour. I used Jack Daniels because we don’t have a lot of spirits in the house, the entire choice was Gin, Vodka or JD. While waiting for the fruit to soak, you should toast your flaked almonds in a 180 oC oven (350 oF) for 10 to 15 minutes. After an hour drain the sultanas and cherries reserving the JD for later. 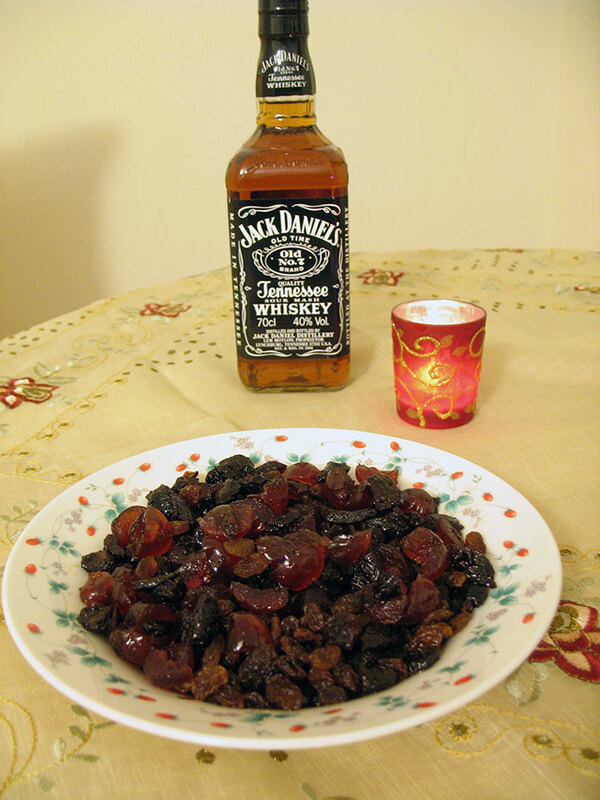 Add the remainder of the ingredients in order, mixing well, then add the reserved JD mixture back into the bowl. Ensure that your jars are sterilised, either by running them through the dishwasher on the hottest setting, or if like me and you don’t have a dish washer then place them in an oven (I did mine at around 160 oC for 10 minutes). Spoon the mincemeat mixture into the jars and leave for at least two weeks, and up to 6 months in the fridge. I haven’t made my mince pies yet, that will be a future post, but I believe that all you need to do is spoon this mixture into the pastry of your choice. Note: On some forums I read that if leaving out the suet in your mincemeat then you should add a small pea sized amount of butter to each mince pie, however as of yet I haven’t tried this. I’ll let you know how it goes. Update, using butter worked just fine! If I can wait, it will be at least next week until I can post the final mince pies recipe. If not it might be considerably sooner!